The fight for immigrant and refugee rights continues to intensify in every passing day of this administration. New anti-immigrant policies are being introduced that aim to close the door on immigrants from particular countries, non-white groups, and people of lower socioeconomic status. With the latest public charge proposal, immigrants are not only being shamed, but could be ultimately penalized for receiving public benefits by barring them from obtaining legal status. We encourage you to stay informed by following us on Facebook, Twitter and Instagram, as things are changing on a daily basis. Meanwhile, there are still thousands of children in detention centers throughout the country waiting to be returned to their parents. Recent news coverage alludes to the possibility of families never being reunited, as children may be lost to adoption. Let’s not forget the permanent psychological damage being inflicted on these innocent children. The cruelty and injustice that we are witnessing are unfathomable. We ask you to join us in our relentless efforts to resist and stop these atrocities. Help us by volunteering your time to register people to vote and get out the vote. Donate to SIREN so that we can continue helping immigrants and refugees in need through our free legal consultations and our ongoing public policy advocacy. We need your support! The stakes have never been higher! Join us today. There is much to be excited and hopeful about when it comes to our new generation of young voters. SIREN’s Central Valley Civic Engagement team has been visiting high schools, colleges, universities and shopping centers to register and pre-register 15,000 new voters (16 years and older) this year. Our team has been answering questions about the process of voting and encouraging young people to take a stand on issues that matter to them. “The future is bright as we look to our next generation of young, progressive voters. However, we must mobilize and empower them with the knowledge and confidence to stand up and believe that their vote matters,” said Josefa Vega, SIREN’s Civic Engagement Associate. 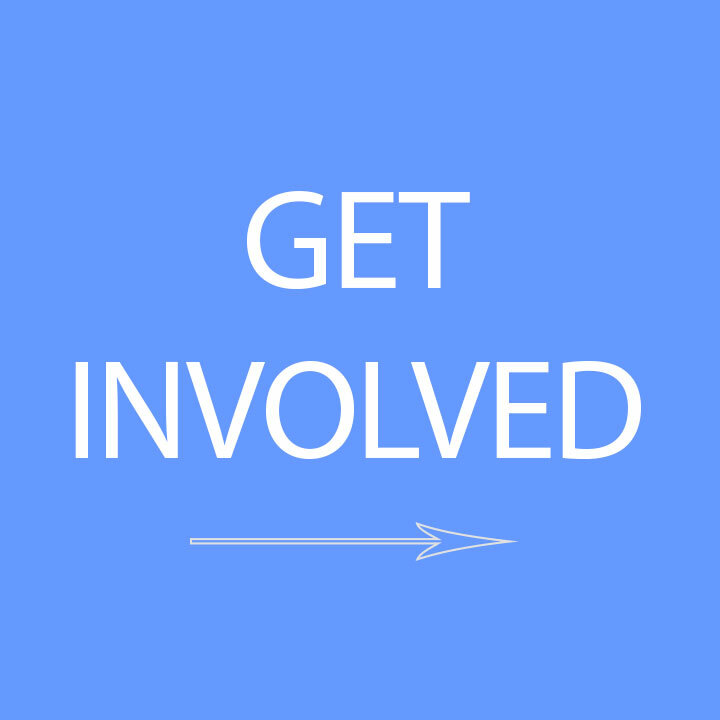 If you would like to volunteer and/or support our voter registration efforts and “get the vote out” to 80,000 voters throughout Northern California and the Central Valley, please contact us at info@siren-bayarea.org. We will be walking precincts, making phone calls, and pushing hard through November 6, 2018. SIREN is fueled by the energy and commitment of countless immigrant and refugee activists who care! We call them SIRENISTAS. They are powerful, optimistic, visionary fighters who are driving our movement for justice! SIRENISTAS empower the immigrant and refugee community to become agents of change by leading local, state and federal efforts to protect communities of color. In this newsletter, we are pleased to share the story of Miguel Lira, one our amazing SIRENISTAS who is also the graduate of our 2018 Youth Leadership Summer Institute. In the coming weeks, we look forward to sharing the inspiring personal stories of other SIRENISTAS by way of our social media channels. Learn more about how you can get involved with our efforts and become a SIRENISTA by emailing us at info@siren-bayarea.org. Together we are standing up and fighting back! ¡Soy SIRENISTA! I am a SIRENISTA! SIREN is pleased to announce its new Director of Operations, Nazaneen Khalilnaji-Otto! Nazaneen joined the team to provide administrative oversight and support to our fast-growing organization. She is excited to be a new member of the SIREN team, standing up and fighting for the rights and dignity of all people, regardless of where they were born. Prior to joining SIREN, Nazaneen worked at the Partnership for Children and Youth as the Summer Matters Campaign Director, supporting the campaign’s partnerships, events, outreach and communications. Nazaneen worked in education for 20 years, from being a classroom teacher to a program director of out-of-school programs. She earned her Masters of Science in Education from the University of Pennsylvania, and holds a Bachelor of Arts degree from The Evergreen State College. Join us in welcoming Josefa Vega to the SIREN Central Valley team! “Having previously been a long time volunteer with SIREN, I am pleased to join the team as SIREN’s Central Valley Civic Engagement Associate. I was born in Stockton, California to an immigrant father from Jalisco, México. I am the youngest child in my family and the first to graduate from a university. Growing up in Fresno, I witnessed the abuses sustained by my father at the hands of employers that exploited his status. Experiencing second-hand discrimination and its effects on my father’s health, I immersed myself in politics and philosophy. While in high school I became involved with social justice groups and in the community. The combination of these activities developed my passion to advocate for immigrant rights. Join us in thanking and recognizing these team members who just celebrated their 5 year anniversaries at SIREN. Their dedication and hard work are greatly valued. To find the voter guides, please click here. SIREN will be celebrating 32 years of building immigrant and refugee power in our community on Friday, April 26th at the Mexican Heritage Plaza in San Jose, California. We would like to share several recent stories in the news that highlight SIREN’s work in the community. By creating awareness about the issues that most affect immigrants and refugees, we are working to inform and promote more just public policies. Maricela Gutierrez discussed SIREN’s work in Northern California and the Central Valley, the growing need for services, and the latest policy updates. SIREN educates the community about the public charge proposal. SIREN comments on the Future of TPS. Shouan Riahi, SIREN attorney, provides immigration advice. SIREN offers free drop in legal clinics on a weekly basis which include, Removal Defense, Affirmative services such as Citizenship application assistance and DACA clinics. 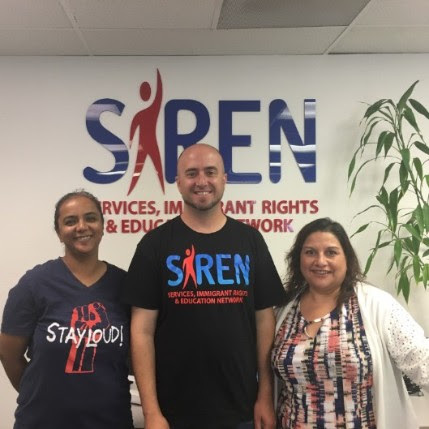 SIREN offers free drop in legal clinics on Wednesday's for Removal defense assistance and Thursday's for general immigration questions at our San Jose office between 9-4pm (no appointment necessary). We also offer in-house and mobile monthly DACA clinics and Citizenship assistance clinics and free monthly asylum clinics at our Central Valley Office. La lucha por los derechos de los inmigrantes y los refugiados continúa intensificando cada día en este gobierno. Se están introduciendo nuevas políticas contra los inmigrantes que apuntan a cerrar la puerta a los inmigrantes de países particulares, grupos no blancos y personas de estatus socioeconómico bajo. Con la última propuesta de “carga pública," los inmigrantes no sólo están siendo avergonzados, sino que pueden ser penalizados por recibir beneficios públicos al impedirles obtener un estatus legal. 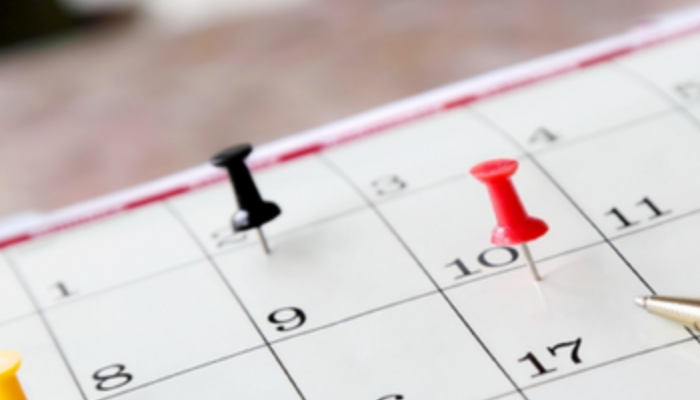 Lo invitamos a mantenerse informados al seguirnos en Facebook, Twitter e Instagram, ya que las cosas están cambiando a diario. Mientras tanto, todavía hay miles de niños en centros de detención en todo el país esperando ser devueltos a sus padres. La cobertura de noticias recientes alude a la posibilidad de que las familias nunca se reúnan, ya que los niños pueden perderse en adopción. No olvidemos el daño psicológico permanente que se les inflige a estos niños inocentes. La crueldad y la injusticia que estamos presenciando son insondables. Le pedimos que se una a nosotros en nuestros incansables esfuerzos para resistir y detener estas atrocidades. Ayúdenos ofreciendo su tiempo como voluntario para registrar a las personas para que voten y promuevan la votación. Haga una donación a SIREN para que podamos continuar ayudando a los inmigrantes y refugiados necesitados a través de nuestras consultas legales gratuitas y nuestra promoción de políticas públicas. ¡Necesitamos su apoyo! ¡Cada vez son más los desafíos y hay mucho en juego! Únese a nosotros hoy. Hay mucho de qué entusiasmarse y tener esperanzas cuando se trata de nuestra nueva generación de votantes jóvenes. El equipo de Participación Cívica del Valle Central de SIREN ha estado visitando escuelas secundarias, colegios, universidades y centros comerciales para registrar y pre-registrar a 15,000 nuevos votantes (16 años y más) este año. Nuestro equipo ha estado respondiendo a preguntas sobre el proceso de votación y alentando a los jóvenes a tomar una posición sobre los temas que les interesan. “El futuro es brillante cuando miramos a nuestra próxima generación de votantes jóvenes y progresistas. Sin embargo, debemos movilizarlos y empoderarlos con el conocimiento y la confianza para defender y creer que su voto es importante," dijo Josefa Vega, Asociada de Participación Cívica de SIREN. Si desea ser voluntario y/o apoyar nuestros esfuerzos de registro de votantes y "obtener la votación" para 80,000 votantes en todo el Norte de California y el Valle Central, contáctenos por correo electrónico a info@siren-bayarea.org. Caminaremos en los distritos electorales, haremos llamadas telefónicas y estaremos trabajando arduamente hasta el 6 de noviembre de 2018. SIREN se alimenta de la energía y el compromiso de innumerables activistas inmigrantes y refugiados. A estas personas les llamamos SIRENISTAS. ¡Son luchadores poderosos, optimistas y visionarios que están impulsando nuestro movimiento por la justicia! SIRENISTAS empoderan a la comunidad de inmigrantes y refugiados para que se conviertan en agentes de cambio liderando los esfuerzos locales, estatales y federales para proteger a las comunidades de color. En este boletín, nos complace compartir la historia de Miguel Lira, uno de nuestros increíbles SIRENISTAS que también se graduó de nuestro Instituto de Verano de Liderazgo Juvenil 2018. En las próximas semanas, esperamos compartir las inspiradoras historias personales de otros SIRENISTAS a través de nuestros canales de medios sociales. Obtenga más información sobre cómo puede involucrarse con nuestros esfuerzos y conviértase en un SIRENISTA. Envíenos un correo electrónico a info@siren-bayarea.org. ¡Juntos estamos de pie y luchando por la comunidad! ¡Soy SIRENISTA! ¡SIREN se complace en anunciar a su nueva Director de Operaciones, Nazaneen Khalilnaji-Otto! Nazaneen se unió al equipo para proporcionar supervisión administrativa y apoyo a nuestra organización de rápido crecimiento. Ella está emocionada de ser un nuevo miembro del equipo SIREN, lista para defender y luchar por los derechos y la dignidad de todas las personas, sin importar dónde nacieron. Antes de unirse a SIREN, Nazaneen trabajó en Partnership for Children and Youth como Directora de la Campaña de Asuntos de Verano, apoyando las asociaciones, eventos, divulgación y comunicaciones de la campaña. Nazaneen trabajó en educación durante 20 años, como maestra de aula hasta ser directora de programas fuera de la escuela. Obtuvo su Maestría en Ciencias en Educación de la Universidad de Pennsylvania y tiene una licenciatura en Artes de The Evergreen State College. ¡Únase a nosotros para dar la bienvenida a Josefa Vega al equipo de SIREN Central Valley! “Habiendo sido voluntario por mucho tiempo con SIREN, me complace unirme al equipo como Asociado de Participación Cívica del Valle Central de SIREN. Nací en Stockton, California, de un padre inmigrante de Jalisco, México. Soy la hija más pequeña de mi familia y la primera en graduarme de la universidad. Al crecer en Fresno, fui testigo de los abusos que sufrió mi padre a manos de los empleadores que explotaron su estatus legal. Experimentando la discriminación de segunda mano y sus efectos en la salud de mi padre, me sumergí en la política y la filosofía. Mientras estaba en la escuela secundaria me involucré con grupos de justicia social y en la comunidad. La combinación de estas actividades desarrolló mi pasión por defender los derechos de los inmigrantes. A través de SIREN, he aprendido que la ley no es simplemente un medio de criminalización o un vehículo de corrupción. La ley puede ser utilizada como un instrumento en la lucha por los derechos y la defensa de los inmigrantes." Únase a nosotros para agradecer y reconocer a los miembros de nuestro equipo que acaban de celebrar sus 5 años de servicio en SIREN. Su dedicación y arduo trabajo son muy valorados. Para encontrar las guías de votantes, por favor haga clic aquí. SIREN celebrará 32 años fomentando el poder de inmigrantes y refugiados en nuestra comunidad el viernes 26 de abril en el Mexican Heritage Plaza en San José, California. Acompáñenos en esta celebración que honra a las contribuciones de los inmigrantes y refugiados de nuestra comunidad. Esperamos poder compartir historias inspiradoras, hacer nuevos amigos y fortalecer nuestra comunidad de simpatizantes. Juntos, superaremos los desafíos de hoy. Este momento exige que nos levantemos, nos pongamos del lado correcto de la historia, y que trabajemos juntos por un mañana mejor. Gracias por su amable y generoso apoyo. Nos gustaría compartir varias historias recientes en las noticias que destacan el trabajo de SIREN en la comunidad. Al crear conciencia sobre los temas que más afectan a los inmigrantes y refugiados, estamos trabajando para informar y promover políticas públicas más justas. Maricela Gutiérrez habló sobre el trabajo de SIREN en el norte de California y el Valle Central, la creciente necesidad de servicios y las últimas actualizaciones de políticas. SIREN educa a la comunidad sobre la propuesta de carga pública. SIREN comenta sobre el futuro del TPS. Shouan Riahi, abogado de SIREN, brinda asesoramiento sobre inmigración. SIREN ofrece clínicas gratuitas legales semanalmente (sin cita) que incluyen, la defensa de deportación, servicios afirmativos, como asistencia de solicitud de ciudandanía y clínicas de DACA. SIREN ofrece clínicas legales gratuitas los miércoles para asistencia de defensa de deportación y los jueves para preguntas generales sobre inmigración en nuestra oficina de San Jose entre las 9 y las 4 p.m. (No se requiere cita.) También ofrecemos clínicas mensuales y móviles de DACA y clínicas de asistencia a la ciudadanía y clínicas de asilo mensuales gratuitas en nuestra oficina del Valle Central. 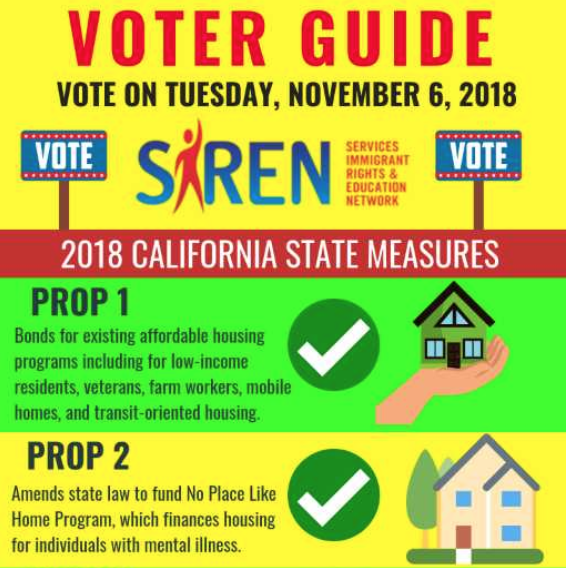 SIREN is encouraging you, your family and friends to vote and be a decisionmaker on some critical issues affecting communities in Silicon Valley, our state and nation.